With Mothers Day fast approaching, it’s our pleasure to offer you this complimentary unique gift to honour your mum’s memory. 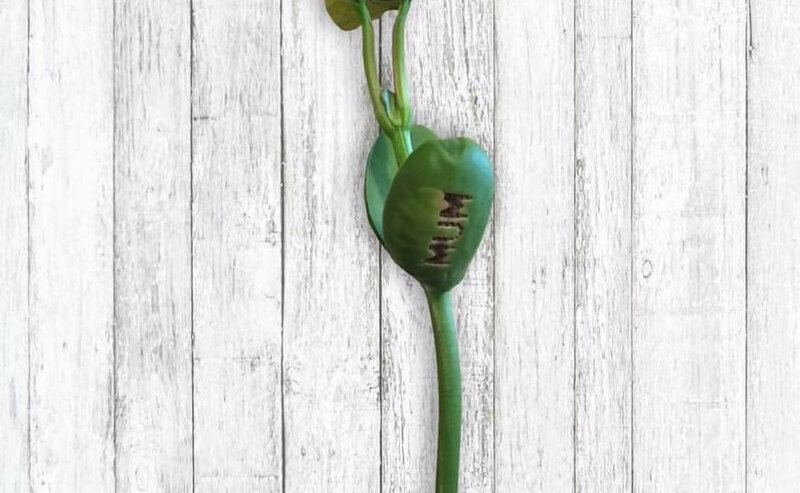 As this remarkable little bean grows, a tender leaf will unfurl bearing a simple, caring message—either “Love You Mum”, or “Thinking of You” (your choice). It’s available to order now by simply completing the form below, and will be ready for you to collect from our administration building from Wednesday 10 May to Friday 12 May 9am – 5pm. For your convenience our office will be open on the Saturday immediately before Mothers Day the 13 May, from 9.30am – 12.30pm should you have any queries or wish to collect your bean at this time. Our Park will also be filled with beautiful music throughout the weekend to further mark the occasion, with classically trained instrumentalists on-hand to create a peaceful, reflective ambience. Would you like to find out more about events and news from Centennial Park?